I’m a Protector for the Gulf Coast Region Intercessor Council assigned to Speaker, 102. My job is to protect my Speaker from harm. Demons would love to possess her and keep her body as their own when she allows them in to help them find resolution. There’s no way I’ll let that happen. 2. You’ve obviously lived a long time. Tell us about one of your past lives that you wish you could relive. I treasure all my lives, but to be honest with you, this one is the best. Even though, I’ve only been around a short time this cycle, I’d live it again and again if given the opportunity. 3. What is your definition of true love? True love is when you respect and value a person enough to accept them completely into your heart and life regardless of limitations or circumstances. 4. If you could change anything about what you do, what would that be and why? I would take Lenzi out of harm’s way. What we do is critical, and sadly, danger is a part of it, so I can’t—but it would be nice. 5. Do you wish sometimes that you could be reborn without any of your memory from past lives? If you could, what do you hope it would be like? Absolutely not. Every memory serves me--not only in making me more efficient in protecting my Speaker, but often, in bringing me happiness. Thank you Alden for taking the time to talk to us today and answer some our questions. 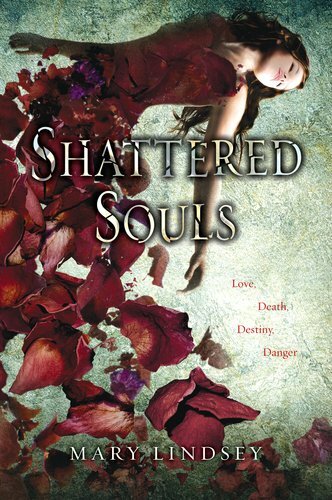 Now go make sure Lenzi isn't any kind of trouble :-P.
Mary Lindsey's debut young adult novel, SHATTERED SOULS, is scheduled for release December 8, 2011 from Philomel/Penguin. Having received a B.A. 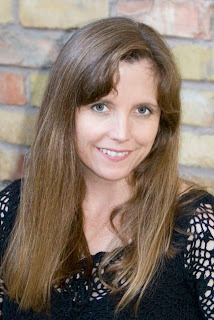 in English literature with a minor in drama from the University of Houston, she currently teaches acting to children and teens at a private studio in Houston, Texas. Mary lives with her husband, three kids, two dogs, her daughter's pet rats, an Australian Bearded Dragon, and dozens of Madagascar Hissing Cockroaches. "Drawing readers into a world where the past holds secrets that can offer salvation or destruction, with spirits haunting every nook and cranny, Mary Lindsey crafts a tale that is frightening, beautiful, and wonderfully memorable." This looks like a great read I've been seeinh it a lot lately! Thanks for the interview. Giselle, I just finished it a couple of days ago and I really enjoyed it!